Waking up to find our programming team presenting a Blast from the Past. We’re not quite ready to ship this week. 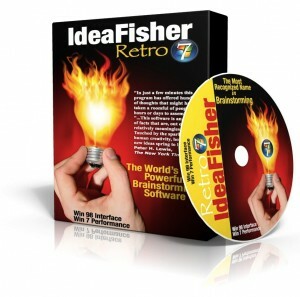 We’ve been slowly (sometimes quickly) acquiring thousands of copies of IdeaFisher from past users and companies moving to ThoughtOffice or Mac. So we have a significant inventory of Retro-fitted apps to work with. And we need to put a software layer on them to get them running smoothly. Let us know if you’re interested in getting back into IdeaFisher (while we continue to innovate with ThoughtOffice and our new ThoughtRod app, coming soon to a Webtop near you). We’ll get you a coupon and a pre-order date.